Orlando City has under 2.5 goals in their last 3 games in MLS. DC United scored in last 7 home games in MLS. Vancouver Whitecaps has over 2.5 goals in their last 5 home games in MLS. Toronto has under 2.5 goals in their last 3 away games in MLS. DC United won their last 3 games in MLS. Sporting Kansas CitySporting Kansas City has under 2.5 goals in their last 3 games in MLS. Vancouver WhitecapsVancouver Whitecaps scored in last 7 home games in MLS. Orlando City SC have not managed to score in their last 5 matches in MLS. DC United won their last 3 home games in MLS. Orlando City didn’t score in last 5 games in MLS. DC United scored in last 8 games in MLS. Vancouver WhitecapsVancouver Whitecaps has over 2.5 goals in their last 11 games in MLS. Vancouver WhitecapsVancouver Whitecaps FC haven’t scored in 3 of their 15 home matches in MLS. Costa del Este has under 2.5 goals in their last 4 games in Liga Panamena de Futbol (Panama). Costa del Este scored in last 6 games in Liga Panamena de Futbol (Panama). Plaza Amador scored in last 4 home games in Liga Panamena de Futbol (Panama). Costa del Este scored in last 3 away games in Liga Panamena de Futbol (Panama). Costa del Este scored over 1.5 goals in last 3 games in Liga Panamena de Futbol (Panama). Plaza Amador allowed opponents to score over 1.5 goals in last 9 home games in Liga Panamena de Futbol (Panama). Costa del Este allowed opponents to score over 1.5 goals in last 7 away games in Liga Panamena de Futbol (Panama). Jaguares de Cordoba has under 2.5 goals in their last 4 games in Primera A (Colombia). La Equidad scored in last 6 games in Primera A (Colombia). Atletico Junior won their last 3 home games in Primera A (Colombia). Independiente Medellin scored in last 5 home games in Primera A (Colombia). Once Caldas has under 2.5 goals in their last 3 home games in Primera A (Colombia). Jaguares de Cordoba lost their last 5 away games in Primera A (Colombia). Boyaca Chico scored in last 3 home games in Primera A (Colombia). Jaguares de Cordoba didn’t score in last 4 games in Primera A (Colombia). Alianza Petrolera lost their last 7 away games in Primera A (Colombia). Once Caldas has under 2.5 goals in their last 5 games in Primera A (Colombia). Jaguares de Cordoba allowed opponents to score over 1.5 goals in last 3 games in Primera A (Colombia). Alianza Petrolera has over 2.5 goals in their last 3 away games in Primera A (Colombia). Independiente Medellin has over 2.5 goals in their last 5 games in Primera A (Colombia). Once Caldas allowed opponents to score over 0.5 goals in last 3 home games in Primera A (Colombia). Deportes Tolima scored in last 8 away games in Primera A (Colombia). Independiente Medellin won their last 3 games in Primera A (Colombia). Once Caldas ended draw their last 3 games in Primera A (Colombia). Deportes Tolima scored in last 15 games in Primera A (Colombia). Atletico Junior scored in last 3 home games in Primera A (Colombia). 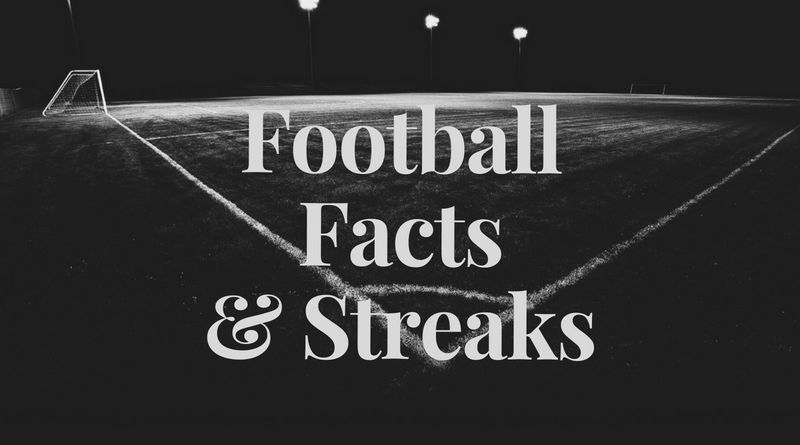 Once Caldas allowed opponents to score over 1.5 goals in last 5 games in Primera A (Colombia). La Equidad won their last 3 games in Primera A (Colombia). Atletico Junior scored in last 6 games in Primera A (Colombia).